Zerohedge’s “Tyler Durden” headlined on February 21st, “Bannon Breaks With Pence, Delivers Warning To Europe” and noted that before U.S. Vice President Mike Pence and U.S. Secretary of Defense James Mattis reassured European leaders this past weekend that the U.S. is as anti-Russian now as it was under Barack Obama, U.S. President Donald Trump’s chief strategist, Steve Bannon, had told European leaders “that he viewed the EU as a flawed construct and favoured conducting relations with Europe on a bilateral basis” — and that this fact supposedly raises a question regarding the Trump Administration, of “which axis is dominant: that of Trump/Bannon/Miller or Pence/Mattis/Haley.” However, there is actually no such conflict: the Trump Administration, ever since at least February 14th’s White House press conference stating it firmly as President Trump’s policy, is and will remain anti-Russian. But this doesn’t deny that the Trump Administration also is going to be dealing not with the European Union as a government, but instead with the European nations individually. There is no contradiction between those two policies: America will be an enemy of Russia, and will support NATO in that regard, but America will not support the EU, but only its member-nations — to the extent that they increase their military spending (which is a decision that only each individual EU member-nation can make: there is no ‘EU’ market for weaponry, only 28 individual national markets there). Donald Trump’s campaign statements that “NATO is obsolete” and that Russia and the U.S. “are not bound to be adversaries” were merely part of the candidate’s pitch to ‘anti-war’ voters, in a field of Presidential contenders who were ignoring them; but now that Trump is President, he is fully in line with the desires of America’s military-industrial complex, the owners of Lockheed Martin and other companies whose profits are heavily dependent upon selling nuclear missiles and other strategic weapons (in addition to the traditional weapons that those companies also want NATO member-nations to buy). Thus far in his U.S. Presidency, Donald Trump has been serving not the American public but instead the American aristocracy, who loathed him and overwhelmingly preferred his Presidential-campaign competitor, Hillary Clinton. This fact — his serving the U.S. aristocracy instead of the public — is most starkly shown in Trump’s foreign policies, which might even be as strongly anti-Russian as hers were, even though he consistently throughout his campaign for the Presidency, promised that as President he would pursue a cooperative instead of a hostile U.S. relationship with Russia. In his policies toward Russia, thus far, he turns out to be far more Hillary Clinton than (the promised) Donald Trump. He might even be as likely to force World War III with Russia as she would have been as President. The first video (click here to see it) (and no one should read any further here who hasn’t seen that video or at least the first twelve minutes of it, because it’s crucial) shows the U.S.-engineered coup that violently overthrew the democratically elected President of Ukraine in February 2014, under the cover of ‘a democratic revolution’, which was actually nothing of the sort, and which had instead started being planned in the U.S. State Department by no later than 2011, and started being organized inside the U.S. Embassy in Kiev by no later than 1 March 2013. The head of the ‘private CIA’ firm Stratfor, has rightly called it “the most blatant coup in history”. The second video (click here to see it) shows the massacre of Crimeans who were escaping from Kiev during the Ukrainian coup, on 20 February 2014, and which massacre came to be known quickly in Crimea, as “the Pogrom of Korsun,” which was the town where the fascists whom the Obama regime had hired were able to trap the escapees and kill many of them. That’s the incident which — occurring during the coup in Ukraine — stirred enormous fear by Crimeans of the rabid hatred toward them by the U.S.-installed regime. 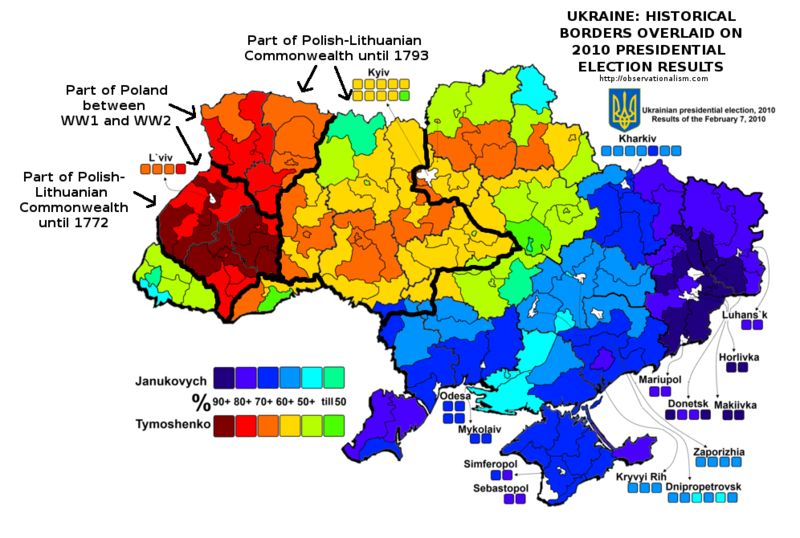 Finally on the issue of Crimea, all of the Western-sponsored polls that were taken of Crimeans both before and after the plebiscite on 16 March 2014 (which was just weeks after Obama overthrew the Ukrainian President for whom 75% of Crimeans had voted) showed over 90% support by Crimeans for Crimea’s return to being again a part of Russia. Everyone agrees that there was far more than 50% support for that, among the Crimeans. Furthermore, even Barack Obama accepted the basic universal principle of the right of self-determination of peoples when it pertained to Catalans in Spain, and Scots in UK, and neither he nor anyone else has ever been able to make any credible case for applying it there and generally, but not in Crimea — especially under these circumstances. So, on the first issue, Trump’s demand that Putin force the residents of Crimea to become subjects of the coup-regime that Obama had just established in Ukraine, it won’t be fulfilled — and it shouldn’t be fulfilled. Obama instituted the sanctions against Russia on the basis of what he called Putin’s “conquest of land” (referring to Crimea), but Russians see it instead as Russia’s standing steadfast for, and protecting, in what was historically and culturally a part of Russia not a part of Ukraine, the right of self-determination of peoples — especially after the country of which their land had been a part for the immediately prior 60 years (Ukraine), had been conquered three weeks earlier, via a bloody coup by a foreign power, and, moreover, this was a foreign power whom Crimeans loathed. Putin will not accept Trump’s demand. Nor should he. The way that this demand was stated on February 14th was that Russia must “deescalate violence in the Ukraine,” referring to Ukraine’s invasions of its own former Donbass region, which broke away from the Obama-installed Ukrainian regime shortly after Crimea did, but which Putin (after having already suffered so much — sanctions, etc. — from allowing the Crimeans to become Russians again) refused to allow into the Russian Federation, and only offered military and humanitarian assistance to protect themselves so that not all of the roughly five million residents there would flee across the border into Russia. Donbass had voted 90% for the Ukrainian President that Obama illegally replaced in his coup. A demand like that — for the victim to stop the fight — is impossible to fulfill. It’s like, in World War II, blaming the United States, Soviet Union, and UK, for their war against Germany, Italy, and Japan. It is a cockeyed demand, which requires only cockeyed credulous believers, in order for it to be taken seriously. President Trump has made it very clear that he expects the Russian government to deescalate violence in the Ukraine and return Crimea. At the same time, he fully expects to and wants to be able to get along with Russia. To some people, that combination sounds idiotic. In any event, it’s not merely unrealistic; it is downright impossible. It’s not seeking peace with Russia; it is instead reasserting war against Russia. I must condemn the aggressive actions of Russia. … The United States stands with the people of Ukraine, who have suffered for nearly three years under Russian occupation and military intervention. Until Russia and the separatists it supports respect Ukraine’s sovereignty and territorial integrity, this crisis will continue. … The United States continues to condemn and call for an immediate end to the Russian occupation of Crimea. Crimea is a part of Ukraine. Our Crimea-related sanctions will remain in place until Russia returns control over the peninsula to Ukraine. Q That was an announcement from Haley, not the President. MR. SPICER: She speaks for the President. I speak for the President. All of us in this administration. And so all of the actions and all of the words in this administration are on behalf and at the direction of this President. So I don’t think we could be any clearer on the President’s commitment. Trump is continuing Obama’s war against Russia, although he had not given America’s voters to expect anything of the kind. Some voters (this writer is one) had voted for him because Trump alleged that he strongly disagreed with his opponent Hillary Clinton about that — he outright lied to the voters, on the most important thing of all. He applied mental coercion — deceit — in order to win. But as it turns out, he’s not really opposed at all to Obama’s coup in Ukraine. Perhaps he is so stupid that he’s not even aware that it was a coup, instead of a ‘democratic revolution’ (the cover-story). Maybe he’s so stupid, that he believes Obama’s lies. At least Hillary Clinton was honest enough to make clear that she was going to continue Obama’s policies (only worse). But she was so stupid that she couldn’t even beat Donald Trump. Anyway, all of that is water over the damn, now. Initially, it had seemed that the only way in which Trump was aiming to satisfy the U.S. aristocracy (owners of the military-industrial complex, among other things) about increasing the ‘defense’ budget, was going to be a buildup against Iran; but, now, that war might end up playing second fiddle. When it escalates to a traditional hot war, either in Ukraine or in Syria, the side that’s losing that traditional war will have only one way to avoid defeat: a sudden unannounced nuclear all-out blitz attack against the other side. A nuclear war will last less than 30 minutes. The side that attacks first will suffer the less damage, because it will have knocked out some of the other side’s retaliatory missiles and bombs. The military would score that as a ‘win’ (victory, even if nuclear winter results). The global public would score it as hell (regardless of which side ‘wins’). If Donald Trump were intelligent, then one could assume that he knows this. He’s not, so he doesn’t. He plods on, toward mutual nuclear annihilation. Perhaps, like Hillary Clinton, he believes that the U.S. has ‘Nuclear Primacy’ and so will ‘win’. It’s all so stupid. But, even worse, it’s evil. And I’m not talking about Russia or Putin here. The real problem — on this ultimate issue, of avoiding a nuclear winter — is my own country: the United States of America. To call this a ‘democracy’ is not merely a lie; it is a bad joke. The American public are not to blame for this evil. The American aristocracy are. It’s an oligarchy gone mad. Trump was never a principled person. He never really resisted, at all. He caved after only three weeks on the job. Clearly, then, he’s not only a psychopath; he is a fool. Trump promised to ‘drain the swamp’. Instead, he’s feeding the alligators. He’s serving the higher powers, even though they despise and would like to destroy him. He’s obsequious for their support; he has decided that they control the public even more than the President of the U.S. can. He threw in the towel within his first three weeks on the job. Perhaps he’s just trying to avoid being overthrown. He never even tried the “bully pulpit.” The con is over, and he doesn’t know anything else than that tactic. He never really cared about the truth, nor about the public. Only the con. And it’s been failing.